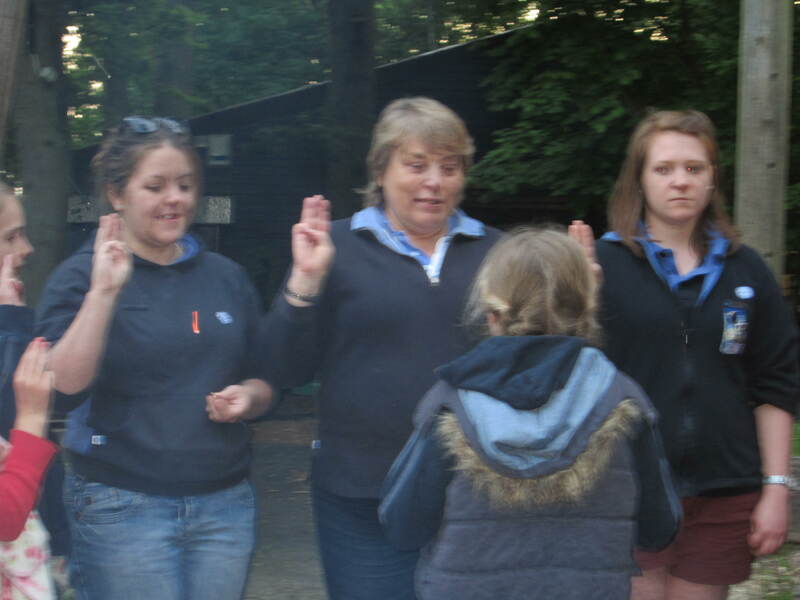 You will no doubt have read in the press that Girlguiding have made changes to the Promise made by girls and women when they join Girlguiding. You may have made it yourself as a Brownie or a Guide. The news has met a predictable mixed reaction and this blog is the result of my reading of one online forum. I was so annoyed by the ignorance of Girlguiding shown on the blog that this is my very personal reply. It is my reply and my views may not reflect those of Girlguiding or in fact those of the other leaders of 1st Henley Guides. As a Guide leader of almost 19 years I was becoming increasingly reluctant to discuss the Promise with the girls. I was aware that the “Love my God” part of the Promise was likely to lead to awkward conversations that I wasn’t sure I wanted to have. It is no longer the case that all of the girls will attend church regularly; in fact very few girls did so when I was a Guide in the 1970s. However we were expected to attend a monthly Church Parade. When Girlguiding launched the Promise consultation earlier in the year we spent two of our meetings discussing it with the girls and encouraging them to take part in the survey themselves. The discussions we had were enlightening and it became clear that girls are much more likely to claim to have no Christian or any other faith or to be uncertain. I think in my heart I knew this hence my reluctance to encourage discussions. At Guide age girls are forming opinions and able to think very clearly about what they are saying when they make the Promise and we have a duty to respect those opinions. It is clear that Girlguiding is perceived to be a Christian and possibly a Church of England organisation. It is probably due to history that it is thought to be so. In 1910 most people attended church so including it in the Promise would not have been thought unreasonable. Mind you in 1910 women couldn’t vote either. The fact that many units have also used Church Halls to meet in over the years probably did nothing to dissuade people that we weren’t a Christian organisation. In my time as a Guide Leader we have welcomed girls of other faiths, and for some years a hijab has been available for girls to wear. Modern Guiding still offers the same things it used to do. A chance to meet friends, to learn leadership and organisational skills and most importantly have fun. There is and has always been a chance to build self esteem and believe things are possible- which could explain why so many successful women have been Girl Guides. Much as some sections of the press would like time to stand still it can’t and any knowledge of this organisation that I am proud to belong to will know that it has often been quick to respond and sometimes lead social change. Although girls will still promise to serve the Queen it will now be the Queen and my community rather than my Queen and country. I’m not so sure about this, what is wrong with being proud to belong to a country. In all I welcome this change and look forward to discussing the promise with the girls again. I’m not looking forward to learning a new Promise after making basically the same one for 45 years. Oh I forgot to mention something; personally I have a Christian faith and attend church on a semi-regular basis.